Explain exactly what mining is. Why you make money by mining, and why it is an investment for the future. What are the different types of mining and which one to choose? What solutions we provide and why work with us. Without going into the technical details, we will explain to you what a miner does and why he brings you crypto-currencies. Whether it is Bitcoin or any other cryptocurrency, these cryptocurrencies operate on a blockchain, which is a register of transactions (like a digital book where all transactions are recorded from one person to another). To "note" these transactions on the blockchain and secure them, they must be encrypted. And that's where the miner comes in. Thanks to specific machines and high computing power, it will secure transactions on the blockchain. These computational powers are expressed in Hash per second (MH/S, GH/S, TH/S) or in Soils per second (Sol/S, MSol/S, GSol/S). You will have understood it the more powerful a machine is to undermine the transactions of a cryptocurrency the more powerful this measure will be. But in order to be able to offer a remuneration to these miners, each currency that can be mined gives a reward in this currency (Bitcoins for the bitcoin blockchain for example) and this is how monetary creation is done on these currencies. And so the more powerful our mining power is on this cryptocurrency, the more we will receive cryptocurrencies as a reward. So we can represent this with a decentralized banknote sheet where everyone can participate. To then collect this miner currency, you just need to create or have a portfolio of crypto-currencies. And to inform on your miner the address of your miner. This way, your earnings will automatically be credited to your portfolio. For the choice of your mining equipment, know that there is today a very wide choice of cryptocurrencies to mine and therefore of mining machines. Graphics card mining machines: Graphics card mining machines is the first generation machine. They are generally less profitable in a specific currency but more secure in terms of investment. It must be admitted that they are less and less used to mine on large investments because they are less suitable for mining today than ASICs, which are less profitable and less stable. Nevertheless, we know that some clients still like their flexibilities because they theoretically allow to undermine any currency and the lower risk on the investment. That is why you will find HERE a selection of the most profitable graphic card miners on the market, manufactured by us. ASIC miners: Asics miners, are second generation machines created exclusively for mining. These are much better adapted to mining, are much more profitable and often have a lower consumption. Today the dominance of ASICs is such that it seems rather illogical to turn to minors by graphic card. To give you an idea of these yields, you will find a ranking of the best miners by current profitability HERE and a selection of the best miners HERE. 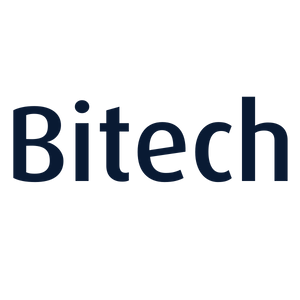 Why buy from Bitech Mining? In addition to the most competitive prices on the European market and our wide selection of Graphic Card Machines and ASIC Miner. We are committed to several aspects to support you in your purchases. In addition to the telephone and technical support available 7 days a week, your equipment has a longer warranty period than that offered by the manufacturers. We are also part of a French approach and we are involved in the blockchain eco-system in the south of France with the creation of events with our partner Kryptosphere to help you better understand the challenges of this new industry. What is the profitability of the miner? It depends a lot on the parameter, it would be quite difficult to give a profitability at a time T, so much the prices of crypto-currencies vary quickly. However, for the most profitable miners, an indicative ranking of profitability is available HERE. Do I have to be a computer scientist to use your minors? Absolutely not, and even less so for ASICs despite what one might think. All they have to do is connect them to the network via ethernet cable and enter their digital wallet address. For our minors by graphic card it is the same thing, just plug the minor back in and fill in his address on the software. Am I accompanied to the placement of my minor? First of all, you should know that each of our miners comes with a manual that explains in a few steps how to use it. These notices are available in the support area of our online store. Then in case of difficulty our technical team can assist you in the installation of your equipment. Do I need to be specifically equipped with electricity to mine? For up to two or three miners, a standard electrical installation is more than enough. At what temperature should my room be mined? This again depends on the number of miners, but a fairly large space with air circulation is sufficient to store two or three miners. Ideally, the temperature should not exceed 30 degrees when the miners are turning. Do I need to be specifically equipped with internet to mine? Not at all, minors consume very little bandwidth. The information exchanged is only a small amount of data. A simple modem is enough for a few minors. Yes, I understood everything! What to buy now? Now that you have a better idea of how mining works, here is how to choose your miner according to your profile. All right, at this point we recommend two sections of the site. First, our ranking of miners by profitability available HERE. And our selection of current minors available HERE. Between these two links you will find the most profitable miners of the moment. If you have identified which currency you want to mine exactly you have two choices that are yours. Either type the name of the crypto-currency you want to mine in the search bar, or directly choose the category of minor in the shop tab and for example "Bitcoin ASIC" in the ASICs submenu of the shop. I want to secure my investment with graphic card mining machines to limit my risk and have maximum flexibility. Do you want to limit the risk of your investment as much as possible by using machines per graphics card? We understand you and we don't let you down! We have for you the most profitable graphic card miners on the market available HERE. It is also interesting in a long-term investment strategy to diversify your mining fleet with miners per graphics card to balance the risks. For that I invite you to go to the Farm & Accommodation page available HERE. We have hosting solutions in France and very competent technical teams for farm creation. So much for this guide, which we look forward to accompanying you in your purchases!